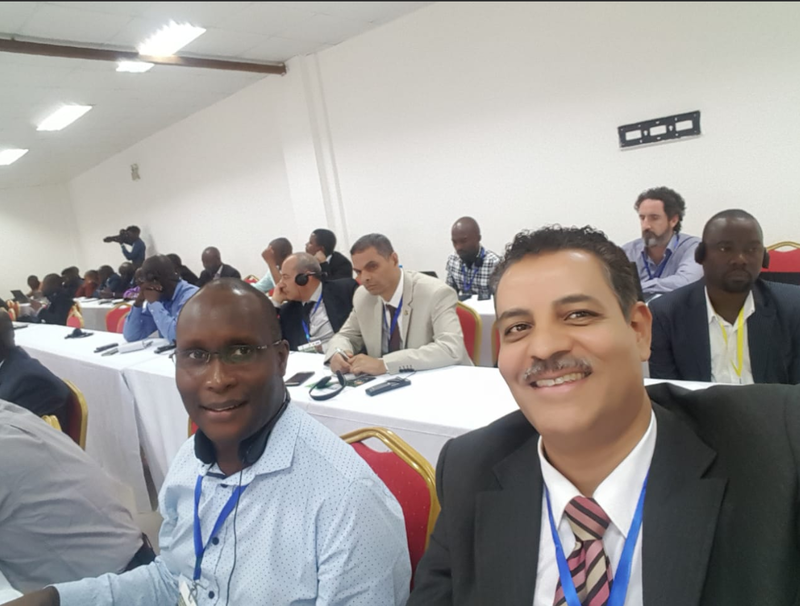 Prof. Islam Abou El-Magd acted as the Chairman of the 7th African Leadership Conference that held in Abuja, Nigeria. With 30 years experience in space applications in Africa, Prof. El-Magd was a member of the African Space Working group that developed the African space policy and strategy and the statute of the African space agency In this interview with Space in Africa, he shares insights on the African Space Policy and what we should expect from the much anticipated African Space Agency. Could you tell us about a bit about yourself? A brief summary of your career. I have nearly 30 years’ experience in remote sensing and geo-informatics. I am a Professor of remote sensing and the Environment working for the National Authority for Remote Sensing and Space Sciences (NARSS), Egypt and chairing the Environmental Studies Department. I am also chairing the internal relations that issue and negotiate all agreements between NARSS and any other global institute in space and its applications. I obtained my PhD from the environmental engineering department, university of Southampton, UK; where I also worked there for a while. I was the focal point for GMES and Africa process since 2008 and played key role to reach this position. I was the Co-Chair from Africa for the Implementation Plan Working Group for the GEO (Group on Earth Observation) that developed the 2016-2025 strategic implementation plan for GEO. I was also member of the African Space Working group that developed the African space policy and strategy and the statute of the African space agency. 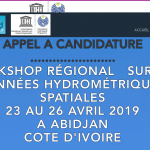 I am the Vice-President of the AARSE (African Association for Remote Sensing and the Environment) for North Africa region, which is the largest network in remote sensing and geo-informatics in Africa. Currently I am acting as the Advisor to the Minister of Higher Education and Scientific Research in Egypt for the African Affairs. The much anticipated African Space Policy was passed earlier this year, what does this win mean for Africa? The space issue was humbling in Africa and was between different commissioners in the AUC, even though sometimes there were parallel acts in the space in the different commission at the same time. Since 2012, it organized a single commission to work on the space issue and the establishment of the African space work group to develop the African space policy and strategy. It took nearly 4 years and lot of hard work to develop a continental space policy and strategy. I believe, this is a great achievement for Africa to finally have a continental space policy and strategy that has been adopted by the head of states. This continental policy means a lot for Africa, it will properly coordinate the space program to serve the continent. This policy has goals and principles that would be implemented to meet societal challenges and improve African citizens. It will create one voice for Africa in space and reserve African rights in outer space peaceful use. The African Space Agency has been rated as one of the next big things in the global space industry – what do you think about this? It will be the largest achievement for Africa in Space, which will stop any duplication and redundancy in space activities. It will properly implement the African space policy and strategy and achieve the continental goals. It will be the official space body that will take care of the coordination and implementation of the space policy. This will be great achievement to stop fragmentation of the space activities in Africa. This will be the dialogue between Africa and other space entity cross the border. It will be the voice for African member states in international space arena for the benefit of African member states. It will promote technology and technological transfer among all African countries and transform African nations from users to space to developer of space industry. You cannot believe how much this will create more strength to African in education, infrastructures, industry, societal benefits. The space initiatives along Africa are working in fragmented matter and the coordination between them is minimum, the space agency will play the role to gather all these initiatives for the benefit of Africa. GMES and Africa is an EO program that is funded by EU in form of EU-AU partnership, this program will pave the road for the agency in this sector. However, the agency will be funded from the member states for sustainability and ownership; these programs will be a baseline for the implementation of the EO sector within the space agency. ALC is well-known forum for space experts and leadership, and in its resolution in 2015 in Sharm El Sheikh, Egypt, it recommended the necessary for the establishment of the space agency. This congress will be an advisory arm to the agency to ensure the rightful path of the agency in its continental implementation. The agency has 4 thematic focus areas of EO, Communication, navigation and positioning, and astronomy; the agency will be the dialogue with all initiatives and forums related to these 4 thematic focus areas. These forums and initiatives will create the scientific and advisory arms to the agency in the 4 thematic focus areas. You are one of the leaders in the African Space Industry, what would your vision for the Agency be if you are called on to lead it? The African space agency was a dream for me, many years and I was wondering when African will have a continental pan African space agency, I am sure all the space nations in Africa and space experts will work together to ensure the success of this agency for the benefit of African citizens. I can tell that the agency will harmonize and coordinate the resources of space in Africa and support filling the gaps in infrastructure, human resources, education and training to ensure high level of space capacity. The agency will also foster space industry and promote private sector in this field for the flourish of our economy and creating jobs. The proposed governance structure of the agency will facilitate regional representation from African space nations and experts to drive the agency in the right direction. The fund mobilization and support from Africa will sustain its African identity and ownership. 2018 has been a great year for Africa with the launch of 5 satellites by 4 countries, what should the entire world be expecting from African Space Industry in the coming years? Indeed, 2018 is a great year for Africa, the statute of the African space agency was adopted in January, the process of establishing the agency has started and the space nations in Africa have made great achievements. 5 satellites launched for 4 countries, Morocco, Egypt, Kenya, and South Africa. This is very good sign that African nations are doing well and when coordinated and cooperated in the pan African space agency they will achieve more and create better life for African citizens.